Commentary: While I know some folks like to dump on the 5-jointed style of figures, I can't. It's wrong. The new ones aren't all perfect, but many are exceptionally good like this Stormtrooper Squad Leader. 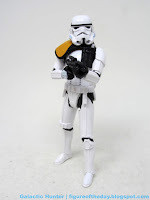 It's the Mimban Stormtrooper with no swamp paint, a standard Stormtrooper helmet, and some gleaming white plastic. It's very shiny, with longer legs and two hands on a blaster. I wish I could get more of these easily. 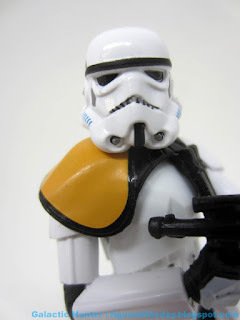 The figure has jointed wrists and a removable pauldron, effectively making it the same squad leaders we saw on Rebels. It stands easily and can swing the legs forward - but doing so makes the pouches on his belt seem happy to see you. It's weird, but it's the kind of thing we get a lot of these days as some figures seem engineered to work with vehicles, and others are not. This is prime troop fodder, a figure with an optional part on top of a fabulous sculpt and excellent raw materials squirting out one of the most beautiful regular-ish Stormtroopers we've ever seen. 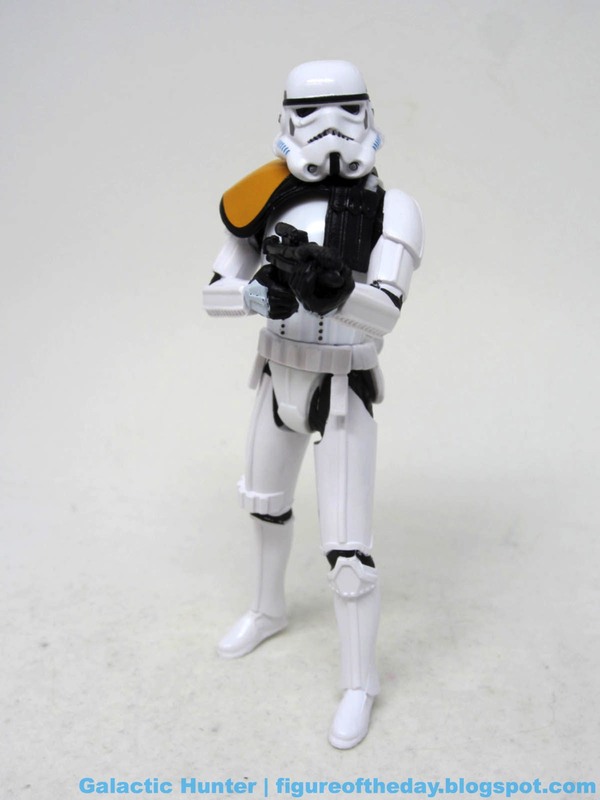 The details on the helmet are normal Stormtrooper fare - but some of the black panel lines aren't there. At least you have the grey "cheeks" and the blue vents on the helmet painted in, given you a good amount of deco with the tubes and mouth having grey and black paint to give them a little more life. 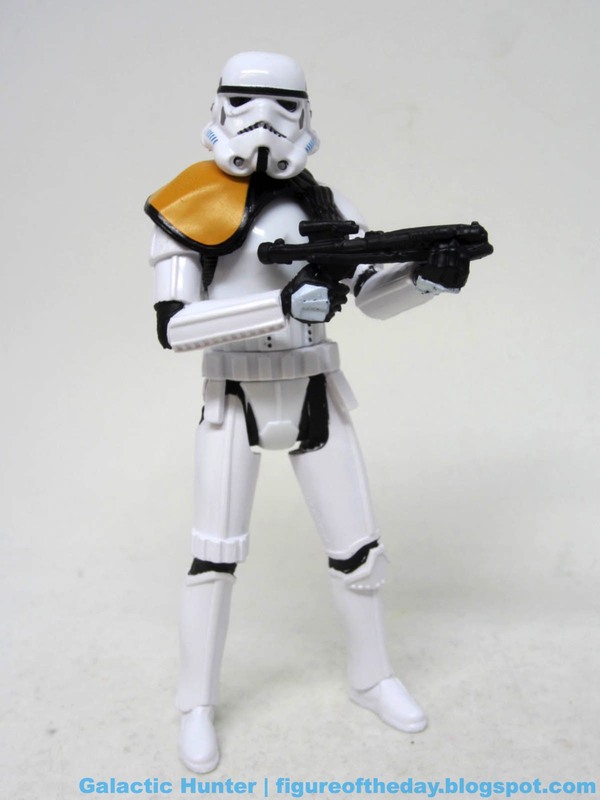 This is a better-than-average kid-friendly Stormtrooper, with better helmet deco than the Mimban Stormtrooper in the very same package. Get this set if you can - and if Hasbro cards these guys individually, get some more. They're excellent. Force Link 2.0 Notes: "Firmware update required!" Never change, app-enabled toys.